Jerusalem stone meets M.A.C., Tommy, and Billabong. But where? After seeing many signs on King David St for the new Mamilla Mall, my interest was piqued, and I wanted to explore what looked like a mall with prices way out of my league. But where was it? For all the ‘now open’ signs, I didn’t see any arrows, or any indication that there was life behind the huge blockade of construction. But, thanks to my cousin who’s living in the old city, I was pointed in the right direction. It reminded me of high-scale malls in America with a slight Israeli twist – the Jerusalem Stone. Although this mall clearly appeals to tourists, it seems strange that Americans would come all the way to Israel to buy a Tommy Hilfiger shirt. Nothing says souvenir more than MAC lipstick for your friends back in America. All cynicism aside, it is a beautiful outdoor strip mall and has a MANGO store coming soon. I am a girl, after all. How to get there: Take the 18, 13, or 21 bus and get off at the David Citadel Hotel. Walk toward the old city and you will see a guard and a set of stairs to your left, about halfway down the block. Rumor has it that Israel’s biggest movie theater is coming to this mall soon. This has yet to be verified.. if you have any details, please share. 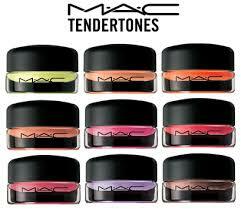 "Jerusalem stone meets M.A.C., Tommy, and Billabong. But where?" was written September 9th, 2007	by thebigfelafel, and filed under Jerusalem Scene and tagged Posts by Rebecca.